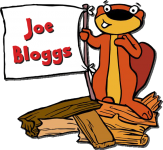 What is a Beaver Scout? Beaver Scouts are the youngest scouts. Our boys and girls range from 6 to 9 years of age. It's where we start the adventure and the emphasis is maximum fun. Don't let our cute factor fool you as we can be as adventurous and daring as any other Scouts. We go hiking, camping and kayaking. We play games and do arts and crafts. We sing campfire songs and roast marshmallows. We learn first aid and how to tie knots. We explore our locality and are active in our community. While we are having fun we learn how to get along with others. We also look after the world through small things and demonstrate to others that we can be responsible. We learn lots of new skills by doing them but the most important thing is that we do it with other people, especially our friends. The slide show below offers a taste of last year's activities! The 55th Cork is the name of our Scout Group. The Group is made up of Sections. Beavers is one of these sections. The Beaver Section in any Scout Group is known as the Colony. In our Colony we divide the children into groups called Lodges. This year we have four lodges with seven or eight beavers in each. The first task for each lodge in September was to come up with a name and design their own flag. Our theme this year is space, and our lodges are The Rocket Aliens, The Shooting Stars, The Meteors and The Space Monkeys. Each lodge has a leader known simply as the Lodge Leader. This position is rotated among the senior beavers in each lodge. The Lodge Leader wears a special armband during weekly meetings. Our uniform includes a Neckerchief or scarf which is worn around the neck. The neckerchief is the most important part of our uniform and must be worn to all scouting activities. Our necko is royal blue on one side and yellow on the other. We wear the blue on the left and the yellow on the right. All our beavers can tell you, "Yellow is bright so it goes on the right!" The neckerchief is held in place by a little leather strap called a Woggle. Woggles are part of our uniform but we don't usually wear them on hikes or camps as they are so easily lost. Other unfamiliar terms your child may bring home are backwoods cooking and pioneering. Many a child has confused parents with stories of 'backwards' cooking! Far from being 'backwards' Backwoods is a form of survival cooking with virtually no tools or appliances. In Beavers we roast marshmallows over an open fire or make chocolate bananas in the embers. Pioneering is the art of building 'gadgets' or basic furniture by tying wooden poles together. Our lodges use bamboo rods and elastic bands to build their first gadgets.